Do employers have to give smokers a place to smoke? What about workers not covered by the ban? 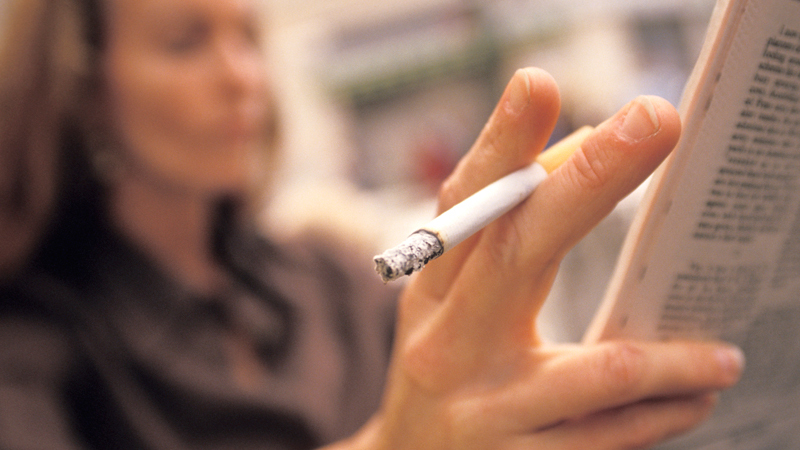 How can your employer help you stop smoking? Public health laws in the UK state that enclosed or substantially enclosed workplaces and public places must be smoke free. This means that employers have legal responsibilities to prevent people from smoking in relevant premises at work, as well as in certain workplace vehicles. make sure that no one smokes on the premises or in vehicles. Smoking is defined as being in possession of a lit substance such as tobacco or any other substance that can be smoked. This includes any type of cigarette, pipe, cigar or water pipe used to smoke tobacco. Only a few premises are exempt from the this law and all exemptions are subject to strict conditions. The smoking ban applies to enclosed or substantially enclosed workplaces where more than one person works, regardless of whether they are paid or voluntary, or whether they work at the same or different times or only intermittently. UNISON believes that a smoke-free policy should aim to protect all staff from the harmful effects of second-hand tobacco smoke, comply with the law and support workers that wish to give up, but also make provision for those unable or unwilling to give up. The term “enclosed or substantially enclosed” refers to a place that has a ceiling or roof, with walls (including doors and windows) around at least half the perimeter. Employers have a duty not to expose their workers to hazards, and must therefore take appropriate steps to prevent or minimise any risks. In other residential settings, where, for example, a patient is permitted to smoke within their bedroom, then any care can be administered elsewhere in a smoke-free area, or alternative provision should be made for the patients to smoke elsewhere. Any cleaning of the rooms should be timed to allow sufficient ventilation first. Special consideration should be given to workers who may be at special risk, such as pregnant women, or those suffering from asthma or other respiratory diseases, or cardiovascular (heart or blood vessel) diseases including a stroke. paid time off to attend relevant courses. make sure that the smoking policy is fair and workable. provision is made for members not covered by the ban such as those who work in someone else’s home. In 1998 the government’s independent scientific committee on tobacco and health reported that second-hand smoke is a cause of lung cancer. Before the workplace smoking bans, UNISON had taken legal action on behalf of members who have had their health permanently damaged by exposure to passive smoke at work. What does a smoking policy consist of? procedures for resolving complaints and disputes. How does the ban on smoking apply to vehicles? Vehicles which transport members of the public, or are used for either paid or voluntary work by more than one person should all be smoke free. Vehicles are generally exempt from the ban if they are primarily used for private purposes and not used to transport members of the public. Guidance from the Scottish Executive suggests that in Scotland all cars are exempt unless used as a private taxi. Anyone in charge of a vehicle covered by the ban, has to make sure that people don’t smoke inside it , and also that an appropriate “no smoking” sign is displayed. How could my employer help me give up smoking?